Released back in October, Apple's Beats Studio 3 wireless headphones are officially priced at $349, which means many users can't really afford them. However, you can now buy the headphones for $100 less if you know where to shop. 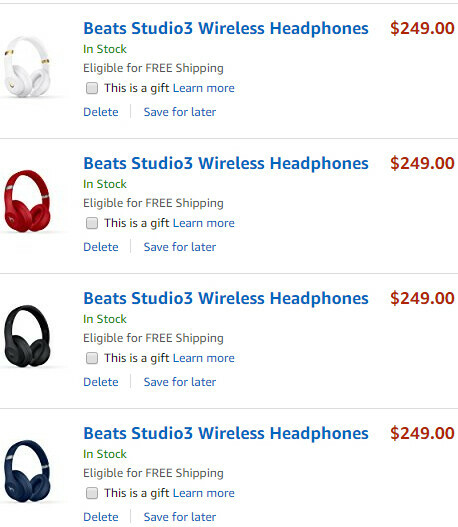 Both Amazon and Best Buy currently sell the Beats Studio 3 headphones for $249 a pair, offering four color variants at this price: black, blue, white, and red (you can see the $249 price only after you add the headphones to your cart). 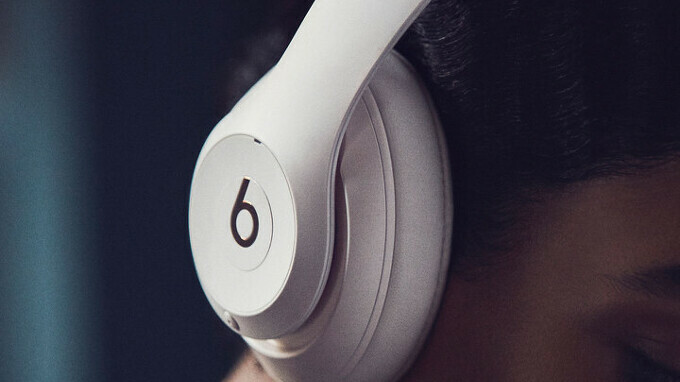 Powered by Apple's proprietary W1 chipset (the same that's found inside the AirPods), the Beats Studio 3 headphones feature seamless Bluetooth paring, real-time audio calibration, Pure Adaptive Noise Cancelling, and up to 40 hours of battery life (with Pure ANC off). A brand new pair of on-ear Apple wireless headphones might be launched sometime before the end of this year, but without Beats branding - these should be Apple-branded. Meanwhile, if you just have to get the Beats Studio 3 and save $100, you can find the headphones at Amazon and Best Buy via the source links below. Does these headphones come with an in-app equalizer? Because you're going to need it, if you buy them. Never thought Beats sound was that great. Agree, and if people want good looking headphones, then why buy these plastic cans? Buy something that isn't constructed out of cheapo plastic. I have a feeling that the only reason these are being sold is because of Beats and Apple's ability to completely convince people that they're the best thing in the world through their marketing, even when it is clearly not the case. I bought the Sony WH1000XM2 and I wasn't impressed by the loudness of these cans, even though I heard AMAZING reviews online. Sold them and getting beats. The bass on them pump me up in the gym! I have never read a single review who said the Sony's lacked volume. Be careful man, you shouldn't mess around with that high volumes around your ears. Your ears are one of the few things that can't mend themselves with time, so be wary of the volume you're listening at. If the volume you want to listen at is higher than what the Sony's can produce, then it's probably way too high and isn't healthy for you. I have the first gen 1000x. I have absolutely no complaints and they sound almost similar if not better than the bose qc35s. Maybe you got a defective piece. I bought mine from Sony brand retail store. I’m surprised to hear that. I have first gen 1000x and if you’re listen without turning up the bluetooth, i do think it’s sound flat (but still loud enough). Want bass heavy headphones for a gym? Buy 25$ QCY Q19, they are bass heavy, they seal the ear and are IPX4 ressistant. + They sound better than Powerbeats3. I will save 349$ on this junk,for that price I will buy the Sony WH1000x.